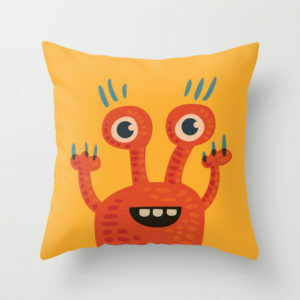 Happy monster character illustration in warm orange and yellow colors. 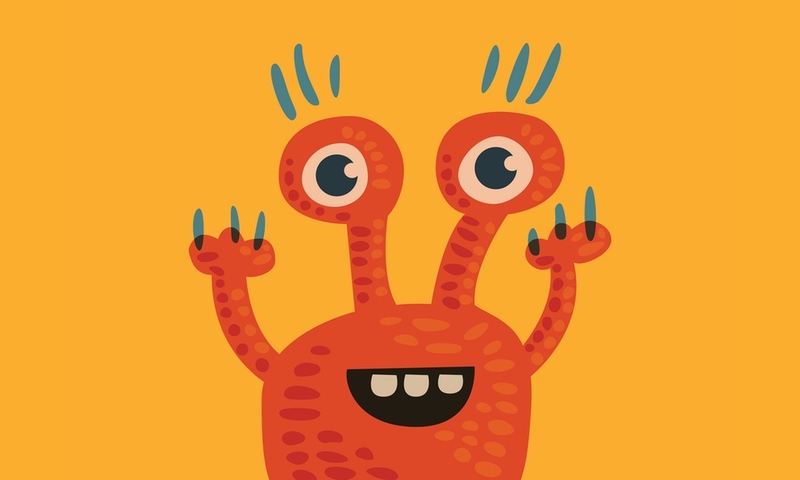 This cute creature has huge monsters with blue eyelashes. It is smiling happily showing its big teeth, waving its little hands with three fingers and long blu nails. Drew this fun vector illustration after a loose sketch. 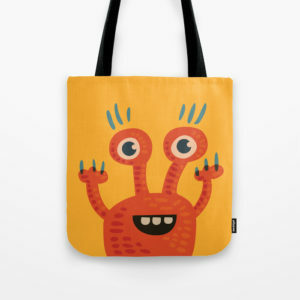 Later added art prints and products to my Society6 and Redbubble stores. 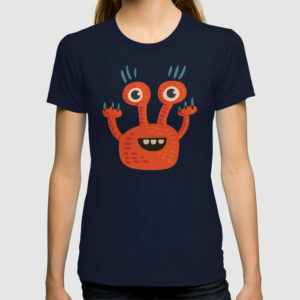 Lastly, see more fun products with this cute monster at Zazzle, Design By Humans, Teepublic.